Fideism is an epistemological theory which maintains that faith is independent of reason, or that reason and faith are hostile to each other and that faith is superior at determining truth. The term Fideist, (one who argues for Fideism is very rarely self-applied. 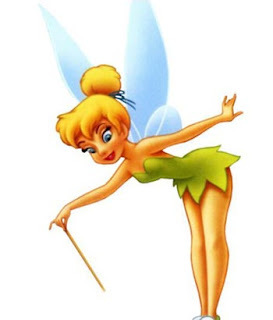 in fairies, Tinkerbell will appear"
Alvin Plantinga defines "fideism" as "the exclusive or basic reliance upon faith alone, accompanied by a consequent disparagement of reason and utilized especially in the pursuit of philosophical or religious truth." The fideist therefore "urges reliance on faith rather than reason, in matters philosophical and religious," and therefore may go on to disparage the claims of reason. The fideist affirms that reason cannot achieve certain kinds of truth, which must instead be accepted only by faith. Plantinga's definition might be revised to say that what the fideist objects to is not so much "reason" per se but Evidentialism: the notion that no belief should be held unless it is supported by evidence. I doubt that anyone knows better than me that Christadelphians are overwhelmingly Fideists. I receive approximately five hundred Christadelphian emails per year complaining about articles on this website and almost all of them rely on Fideistic reasoning to attempt to show me that I am wrong to think that Atheism is a correct way to look at life. I could go on, but I won't; you get the idea. - Did you get that last point? This Christadelphian Fideist thinks that scientific evidence that contradicts his faith may be God's way of testing the faith of believers. In other words, the more that science and textural criticism disproves the truth of the Bible, the more fervently we should believe that it is true. 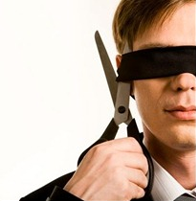 NOTHING is going to change this Christadelphian Fideist's mind. He has erected an iron wall around his head that is impenetrable to logic, evidence, reason or rational thinking. This sort of Christadelphian thinking, which is rampant throughout the religion, is reminiscent of the blind faith that American Jews put in Bernie Madoff a few years ago when they invested approximately thirty billion dollars into his pyramid scheme that subsequently collapsed. Despite abundant evidence that he was a criminal, Confirmation Bias prevented their minds from realising that he was a fake. They wanted the miraculous monetary returns he promised and so they closed their minds to any evidence to the contrary. Christadelphians want to live after death. They want to live for ever in bliss. 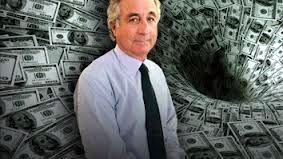 Like the Bernie Madoff's victims they don't want to admit that they were stupid believing in something for which there was no support and substantial reason to reject as false. Just like the Bernie Madoff victims, Christadelphians are not only greedy, but they are also lazy minded. They want to avoid the hard work of thinking these things out sensibly and instead they opt for a supremely simplistic shortcut to their conclusion that God exists and that the Bible is true. They can't be proved wrong because all of their evidence is hearsay and none of it is empirical. They have no reality check on their imaginations concerning God and the Bible. The closest that Christadelphians ever got to a reality check was when their founder Dr John Thomas predicted that Christ would return in 1866 and we all know that ended in a debacle. Christadelphian Fideism is a corrupt way of thinking because there is a lie at its heart. Fideists claim that they are placing their faith and trust in God and that therefore they cannot be wrong because God is supreme, all powerful, all wise and all knowing. But the reality is that they are doing nothing of the sort. In truth they are putting their faith and trust in themselves. Because by deciding to put their faith into something invisible; that cannot be proved or disproved, they are actually making a decision based solely upon their own subjective, emotional feelings about the matter. They are putting their faith into a concept that they have constructed within their own heads based on no tangible, rationally derived evidence. They are human beings and as such their emotions and thinking is subject to the vagaries and fluctuations of human experience. By contrast, human thinking about Gravity, the Germ Theory of Disease, Special relativity and yes - Evolution etc. are based on extraordinary amounts of research, empirical evidence and rational, logical, deductive reasoning. Scientists don't fluctuate on a daily basis about their belief in Quantum Field Theory or Gravity merely because they are emotionally upset about a row with a relative, the dog being ill, or because the weather is bad. But the faith of Fideists DOES constantly vary because it is not based on deductive reasoning grounded on testing and empirical evidence. Fideists have built a house of faith on sand; because every wobble in their internal, subjective, emotional state shakes the building. It is one thing when they are ranting off a Christadelphian platform or on an Internet discussion forum. But when they are alone, the demons can emerge and their doubts about their faith rattle their conviction. I know because thirty years ago I was a Christadelphian Fideist. And every one of you reading this article who are Fideists also know deep in your own hearts that what I am telling you is the truth. Your faith is no stronger than my faith was thirty years ago. You go through what I went through back then. You Christadelphian Fideists do not have faith in God or the Bible. You have faith in your own conviction that these things are true. You have faith in faith itself. You have faith in absolutely nothing. You have faith in a complete vacuum that exists only inside your own minds. A very tiny number of Christadelphians are NOT Fideists. They do think rationally and they seek sensible evidence for their faith. They are concerned by the facts of, geology, archaeology, other sciences and textural criticism that conflict with the Bible. I am not addressing these people in this article. In fact I know that they will be in wholehearted agreement with much of what I have just written. I will say this to the Christadelphian Non-Fideists: I respect you. I enjoy your company. I like you people. I share your embarrassment and frustration with our Fideist brethren and sisters. You Christadelphian Non-Fideists, that I call the "New Christadelphians" are well on your way to discovering the "Ultimate Truth" sought by our founder Dr John Thomas. Even as I type this article some of you are, in your minds, composing your letters of resignation and preparing your family and friends for the shock that you are going to accept the truth of an Atheistic way of looking at life. So wherever you may be on the spectrum of New Christadelphianism, I salute you. You people are the best; the very best brethren and sisters in our community. I urge you to hold your nerve and be courageous for the Truth. (1) Taken from the comments on an article at: http://robjhyndman.com/musings/creation-via-evolution/ They are NOT the words of Rob Hyndman; for whom I have the greatest respect.